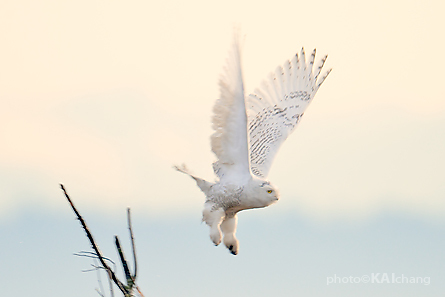 Boundary Bay has become a popular touring site these days because of a large number of Snowy Owls are migrating from Arctic to this area. However, while many birders and photographers are accessing down to the marsh area, wildlife harassment has turned into a controversial issue at Boundary Bay Regional Park. It sparked from a thread at Birding in British Columbia birding forum, and then caught an international attention. Wildlife are protected from harassment or disturbance through provincial or federal laws and treaties intended to protect species and habitat. These species receive protection because there are some people who want to interact with them, which can be detrimental to the animalâ€™s health. The laws help protect the animals from intentional or unintentional harm. Provincially â€“ sections of the Park Act, Wildlife Act, Ecological Reserve Act, Fish Protection Act, and Park & Recreation Area Regulation address such issues as conservation, wildlife feeding, harassment, animal control, and the complete protection of all wildlife within ecological reserves. Federally â€“ sections of the Migratory Birds Convention Act protect all migratory birds, while sections of the Fisheries Act protect marine mammals, fish, molluscs, crustaceans, and seaweeds. Under the above laws, wildlife harassment could result in a sentence of up to six months and/or a fine of as much as one million dollars. 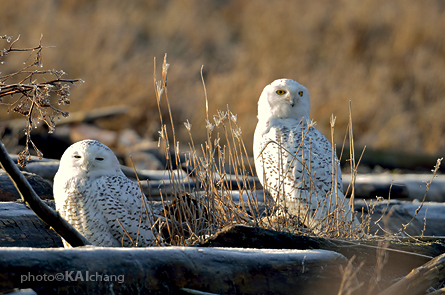 This is the second time I went to Boundary Bay Park because we are incredibly lucky to have this many Snowy Owls visiting lower mainland. This is rare that due to the lack of lemming population in winter the owls have to migrate to south looking for food (some say every 4 to 6 years). 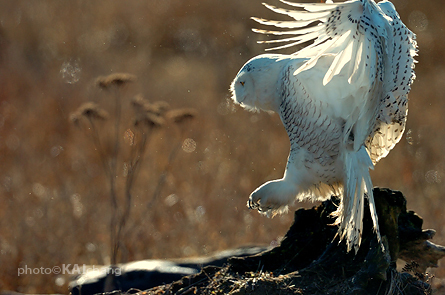 There are signs here and there say “DO NOT APPROACH SNOWY OWLS” “PLEASE RESPECT OWL’S SPACE”. Unfortunately, there were still numbers of people ignoring all the signs and chasing these magnificent white birds in the march area. Some people were very close to them and flapped their arms to make the Owls fly. It is very sad to see that photographers just want to get some decent shots, and don’t care about wildlife.